There has been the idea of making characters as skins, who are unlikely to be added. We all want characters like Padme, Jango, Mace Windu, Qi'ra, etc. Maybe if there are definitely not being added this game, they could be skins. Palpatine as a base for Snoke. I think this would work pretty well. Definitely at least a good workaround until they give us the full versions of the heroes, if they do. I'll see if I can find the details on my post and post them here. Qi'ra as a Iden skin with her vibroblade as melee. Firstly we do not need a Kanan Jarrus that pkays like Obi Wan for galactic civil war. I am pretty sure Old Ben was around for that. I think the idea of all these "reskins" will be cheap for the devs and expensive for us. It would largely be a way of moneytising heroes, this would be bad. Skins are great but bring on the heroes and then sell us skins for them. Sweet, sweet, emotional investment, and favoritism attachments. Wow, Savage Oppress LS for Vader is a most impressive fit... (that way we could have both brothers out at the same time.) Aurra LS for Iden is a decent fit too. There is a few problem with this. Jango as Boba, Jango has different weapons, so that wouldn't really be Jango anymore. And the second and most important problem is the hitboxes, for most of the reskins they'd have to redo the hitbox of the character for each skin that is a bit different. Otherwise could be decent. Fair point, Old Ben might well be the better option for GCW. I thought Kanan might have a style of fighting and ability use that is more similar to young General Kenobi, where Old Ben would be very different. And it would give us a Kanan, which we might not get otherwise. But I'd be as least as happy with an Old Ben skin as a Kanan skin, if not more happy. I think the idea of all these "reskins" will be cheap for the devs and expensive for us. It would largely be a way of moneytising heroes, this would be bad. Skins are great but bring on the heroes and then sell us skins for them. I agree that more heroes is the better option of the two, if it were a choice. But for one thing, they could do both -- make the skins, and then make the full heroes later. For some of them, probably not all. And that's the other thing: many of the characters I listed are not likely to ever be made a full hero, so the skin would be the only way we'd ever see them. Fair point, a full hero version of Jango (and many others, with different abilities, would be much better. As I said in my reply to Pjay, though, they could potentially release the skin, then release the hero later. Best of both worlds. And you're right, they would have to redo the hit boxes for some of them, which (along with the voices) would be another reason these skins would all be Legendary skins. Thanks! I think it'd be a lot of fun. If they do a skin of someone completely different and redo the hitbox, they have half of the job for it to become a new hero, they might as well finish it. I'd rather alternate skins be the same character as the default skin, but some of that boils down to semantics (I.E. I'd be okay with Boba in Jango armor as a skin, but not Jango himself as an alternate skin for Boba Fett) for this reason I'd prefer Anakin Skywalker as an alternate skin for Darth Vader, instead of him being a separate hero. 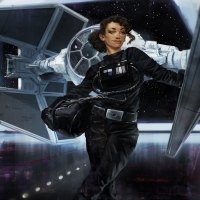 Qi'ra as a villain would be odd, since she didn't really turn on Han, but fittingly much like Iden she could fit on either side. She's an unwilling villain but unable to be a hero. Anyway I do approve of this idea but in certain situations it wouldn't work. Jango especially wouldn't work, mostly because of the differences between his dual blasters and Boba's blaster. I wonder though, could they reskin villains heros and vice versa? What I mean is could they base Enfyss off Phasma or Rex off of Jango? It just needs to be applied to heroes. That solves the "---But Jango uses a different weapon" point. It was cool to see the blue Twi'lek with Luke's saber. I didn't know about this. I will find out more. Since all the skins are purely cosmetic- you could still have Jango with dual pistols. The dual pistol could be shot using one trigger just like the new dual pistols in Fortnite. There were rumors about ability swapping star cards as well so there could be a dual wield ability. This was suggested as a way to get sabers for Palpatine and Finn earlier. Sorry, which part? Maybe I can help. I don't see how anybody could be opposed to squeezing more characters out of this game even if they would just be reskins. 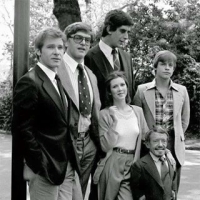 Even if they did manage to add all the major characters from all the films there are still dozens of minor characters that people would want to see. I'd have no problem if Qui Gon snuck in as a legendary for Obi Wan or if Cad Bane were just a modified Boba. The skin swap glitch. Seems really funny. 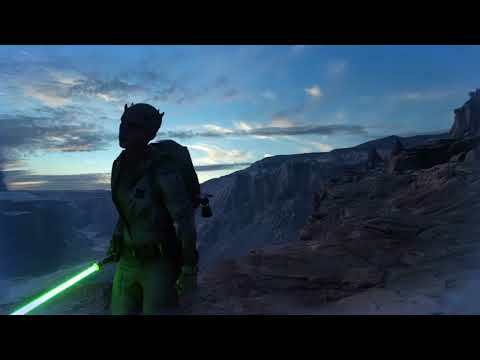 It would be amazing to see troopers with lightsabers even if it's a bug. 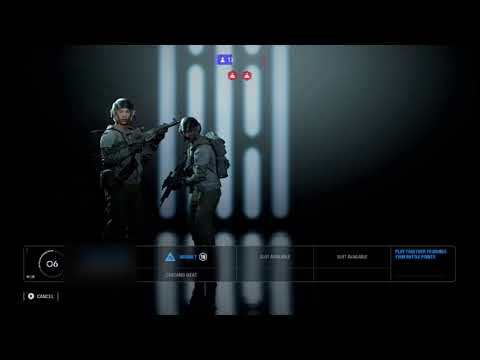 It would be awesome if actual jedi reinforcement we're added eventually. It would be awesome if actual Jedi reinforcements were added eventually. 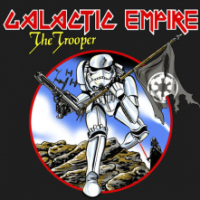 Unfortunately, for the Stormtroopers it doesn't work with Vader. (I don't think the exploit works for Chewy either.) In those two heroes cases, it just makes the character skin mess up to all oblivion. Probably due to their large sizes. This was all the footage I was able to capture today before my token swapping buddy had to leave. No worries no need to apologise. I haven't come across this. The closest I know would be the multiple character bugs- like 3 Bossks etc. Maybe such a thing is possible in BF2. But since there are no more tokens it could be some other way. I wouldn't be surprised ha there are so many bugs in this game. Lol at the Dengar part. It's interesting to see how different the game feels compared to now. Have to admit there is some nostagia for that game. Especially the crash swamp map. I have always hated this idea. Different characters should not be skins for heroes. No worries no need to apologize. Yeah, I've been informed about the multiple character bug as well. I don't think I had much luck with it in swbf15, but I can perform it in Swbf17... not that it's much use to me there, since there's no option to play a private match. 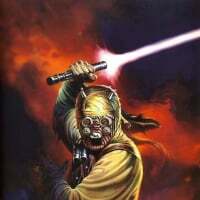 So we shouldn't have Boushh (Leia skin) or Rako Hardeen (Obi skin)? Nor a holographic disguise matrix ""feature"" for players to utilize which alters the appearance of one character, to look like some other character? Mace Windu must be his own hero, so he can use Shatterpoint. Other chars as skins are a good alternative. Definetly no. I would prefer not putting Quin Gon as a skin of Obi Wan. I think it is a disrespect to the character. 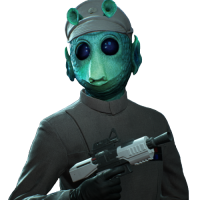 First, every skin that changes a character in either age or, in this case, to an entirely different character, requires you to cast actors to do voices, because you can't have them running around with the base voice or none at all - see the recent Han and Lando legendary skins. So, you'll have to record voice lines. Then you'll have to design and create the skins, of which there'd be a lot for different character requests, then implement them, change code and maps, make countless UI changes, so on. Of course you've also got the knock-on effect of having those new 'skin characters' then have dialogue to interact with the other heroes, instead of the usual Luke with Lando banter for instances. Needing to recast the droid announcer of HvV, as well, to give a unique comment for the skins used that change the character and how complex that will be. There are so many things to take into account with this idea and why it won't be implemented, because simply put, it's just so much work. It's not to say they won't do it, they might well do, but I really don't think they'll reskin characters to entirely new ones. HOW DARE YOU NOT GIVE REX HIS OWN HERO. Excuse my salt, but I believe that Rex and the CW company should have their own unique abilities. I’ve even made a concept of what that would look like. 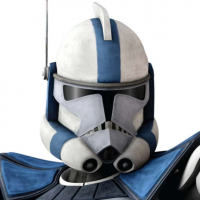 @GiantSlayerBF2 as much as I'd love to see Rex and Cody as their own heroes, I feel like certain people would complain (ok maybe not for Rex, but the other captains/commanders). 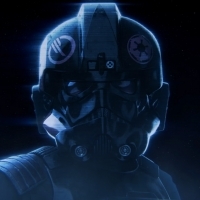 Another idea, once we get the right maps for their legions, would be for all Prequel era maps to have a unique reinforcement who costs like 4-5000 BP, and is almost a hero but can only be used on that map. 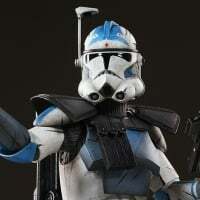 This reinforcement is the clone leader for that legion (so Rex for the 501st, Cody for the 212th, etc) and they have a set of abilities which are more or less the same (like Enforcers) but I guess have one which is unique to them, based on their weapon. Right: Droid Popper - temporarily stuns and damages droid enemies in the radius. 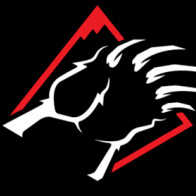 Damage and stun duration drop off as you move away from detonation point. Rex: Rangefinder - highlights all enemies in Rex's field of view/possibly through walls (probably not), also locks onto up to three enemies within 30 metres and delivers two headshots with his dual DC-17s to each one (like Lando's Sharpshot). Cody: Explosive Overload - supercharges Cody's DC-15, allowing him to fire explosive shots indefinitely at no/very little movement penalty for a limited time. Those are two off the top of my head. If there was one who used a DC-15a they could get a speed boost and RoF increase, like Leia's E-11 ability. Perhaps another could have some sort of turret or a mine(s) ability, or switch out to a buffed Valken X-38 sniper? No reskins. A hero should be unique or nothing. Reskining completely different game unique characters to simply have the same abilities and stats across the board is a terrible idea, in my opinion. Either take the time and effort to make a unique hero or don’t. Mace should absolutely not run around playing just like Luke. Nor Jango for Bobba or Padme for Leia or anyone else. My opinion. If they announced they were going to reskin substitute heroes, then really, that's like announcing they aren't really bringing those heroes to the game at all isn't it? I just don't see the PR payoff there. They should make more skins that are available only for crystals, like the Mirialan specialist skin. EDIT: I noticed one night that for some reason the Mirialan skin was coming up as unlockable with crystals only. But it turns out that must have been a little bug or something because now I see it is available for credits as well. Is it better to just never get the character in game at all? 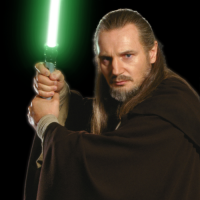 Qui-Gon is a good example, if we don't get him as a reskins then I doubt we'll ever get him in the game at all. It seems to me that, with most of the characters, they could just use lines pulled from the movies or shows. Or just not give them lines, make them silent. Aside from that, any work they do on the character could also be seen as putting them that much closer to having a finished full hero... once they've got a full reskin done for Jango, they're at least halfway to having a full Jango as a hero of his own. But in the meantime, we get to play him. I agree, it's not likely. Again, that'd be great. How likely do you think that is? We're not even getting Anakin and Obi-Wan until basically a year into the game. Your concept was great, I'd 100% prefer it to a reskins. But at least there's a slim chance of getting the reskin. Another idea, once we get the right maps for their legions, would be for all Prequel era maps to have a unique reinforcement who costs like 4-5000 BP, and is almost a hero but can only be used on that map. 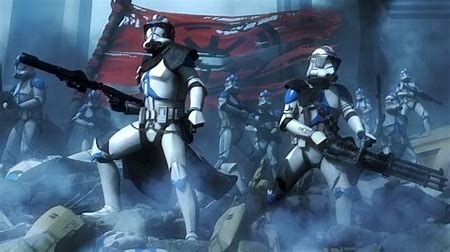 This reinforcement is the clone leader for that legion (so Rex for the 501st, Cody for the 212th, etc) and they have a set of abilities which are more or less the same (like Enforcers) but I guess have one which is unique to them, based on their weapon. Great idea! I'd love to see that. Probably the best way to bring in the Clone Commanders, since any other way would require like 12 new heroes who aren't balanced out by an equal number of villains. More skins the better - more maps - more blasters - more cards, etc. Have no problem w/ reskins (at this point in particular) in general as long as it is not the basis for the game (in this case it's all free unless I want to spend cash).